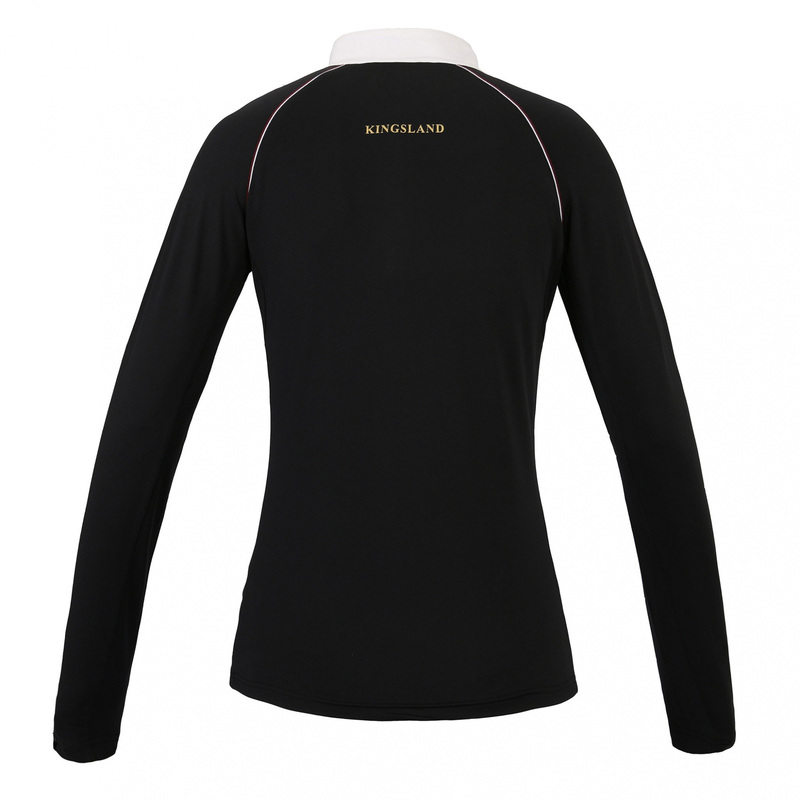 Very impressive ladies' show shirt with long sleeve, made of quick-dry and breathable material. For maximal comfort, there are inserts made of special mesh on the sides. Stand-up collar of the shirt is fastened on the front. This shirt is decorated with trimming where the sleeves begin, printed logo on the chest and Kingsland writing on the back.